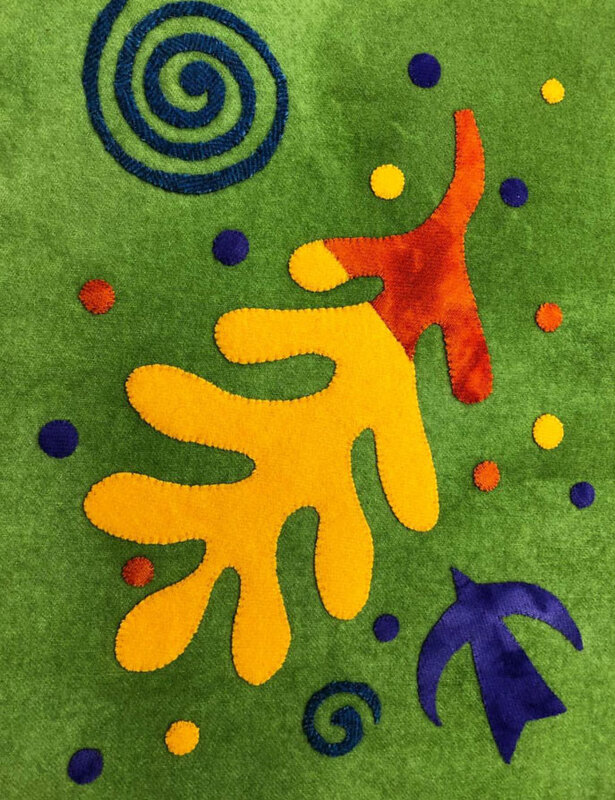 Explore the graphic images of Matisse’s colorful cutouts in a contemporary or folk art form. 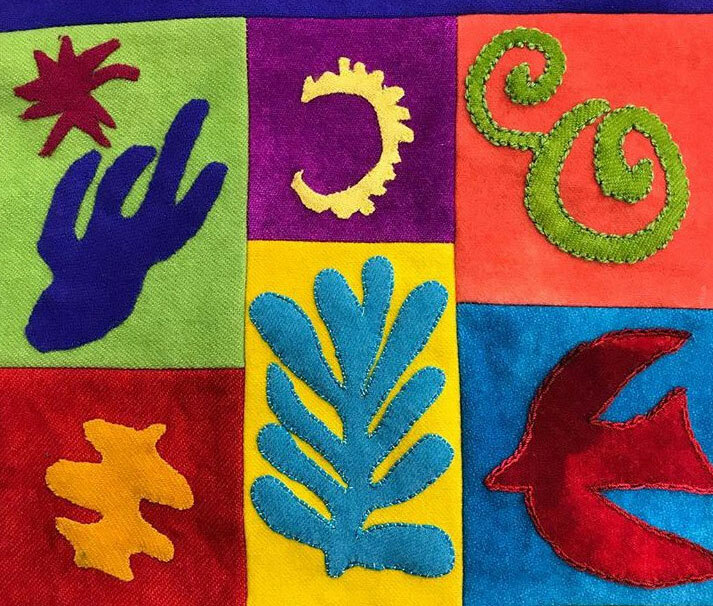 Using high quality felted wool in bright solid colors along with textural stitching immerse yourself in the world of Henri Matisse. Sue and Tonye will share their spin on the multiple possibilities that these shapes present. It is a pleasure to welcome back my friends Sue Spargo and Tonye Phillips in a collaborative teaching environment combining Sue’s wonderful stitching and design skills and Tonye hand applique and hand quilting talents to teach together again and give you a wonderful experience. They are a great team. Both ladies are published authors and have taught in many different environments and locations. Sue is a world traveler and spends over 2/3 of her year traveling around the world teaching to folks from many different backgrounds. Tonye was the featured artist at the Quilters Affair this year in Sister’s Oregon and she also makes her home in Camp Sherman, which is very close to Sisters where the Quilters Affair show is held. Sue is from Ohio, via South Africa, England, and several US cites prior to settling down in Ohio. Sue runs her company with her children as her right hand support and produces probably one of the largest BOMs, in terms of participants, of any in existence. They are a great treat and I always look forward to the next year… I have been subscribing for the last 6 years. Sue offers wonderful hand dyed fabrics and has her own line of wonderful threads to work with. You may also go to www.suespargo.blogspot.com to check out Sue’s Blog. Please check out their websites to see some of the wonderful work they do. We hold our retreats at a church in Carpinteria, California with lovely light to sew by and an really beautiful outdoor patio. Our catered lunches are delicious and our check in Wine and Cheese is a very fun get acquainted event! We do offer each person attending table space of their own to work on and we have a great ironing set up! 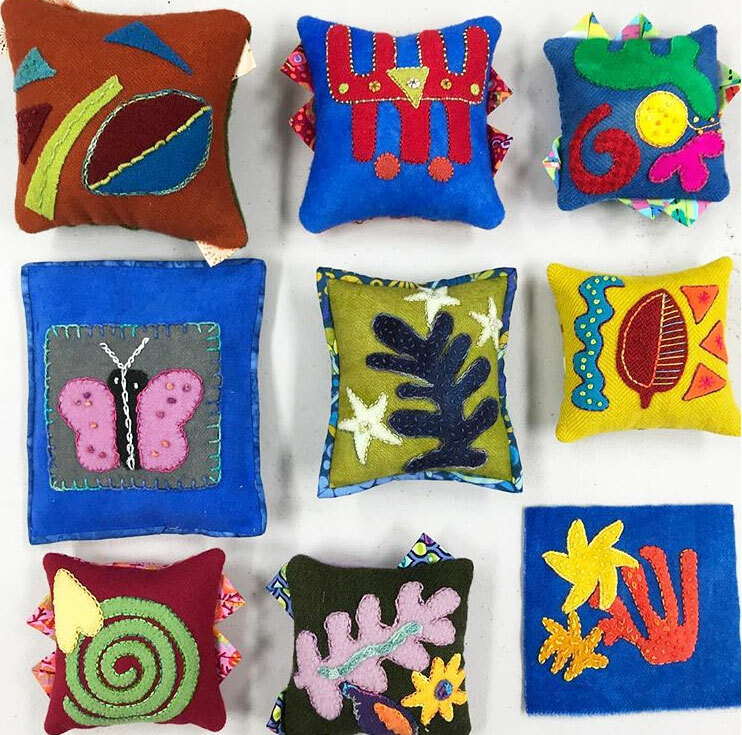 For those not familiar with Carpinteria it is home to one of the best quilt stores in the state, Roxanne’s a Wish and a Dream, with a huge selection of fabrics and also yarns, notions and gifts. It is located on the beach, just off the 101 Highway between Santa Barbara and Ventura. We have arrangements with the Holiday Inn Express Carpinteria for lodging (not included in our pricing) and if you call the local number and tell them you are with us they will set you up with our discounted rate. Number is 1-805-566-9499! • & Quilting till your heart’s content! Balance due by July 1st, 2020. Cancellations will not be accepted after July 1st unless you have a replacement and there will be a processing fee of $50.00. Bounced checks will be charged a $60.00 fee. 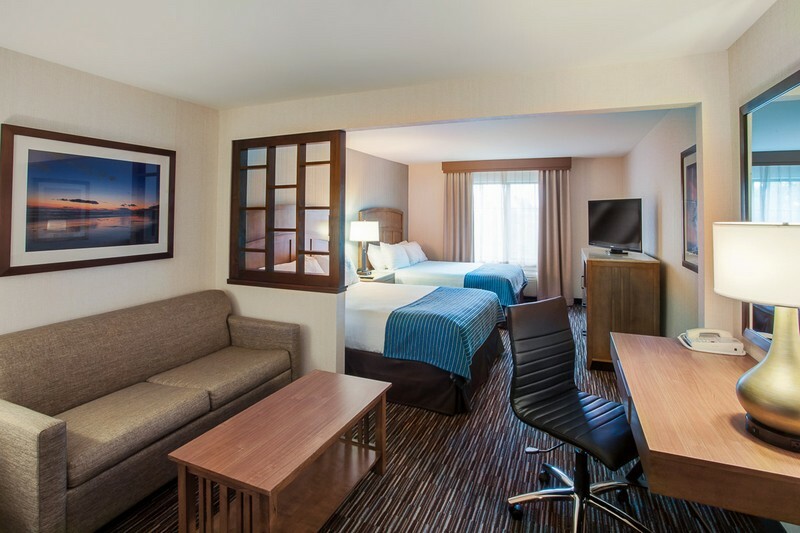 We are pleased to be working with the Holiday Inn Express in Carpinteria. They are offering a special rate to Santa Barbara Quilting Retreat attendees. Call 805-566-9499 ask for the SBQR rate!